Barry Burchell’s family arrived in southern Africa in the early 18th Century…both Burchell’s zebra and Burchell’s sand grouse are named for one of his ancestors. 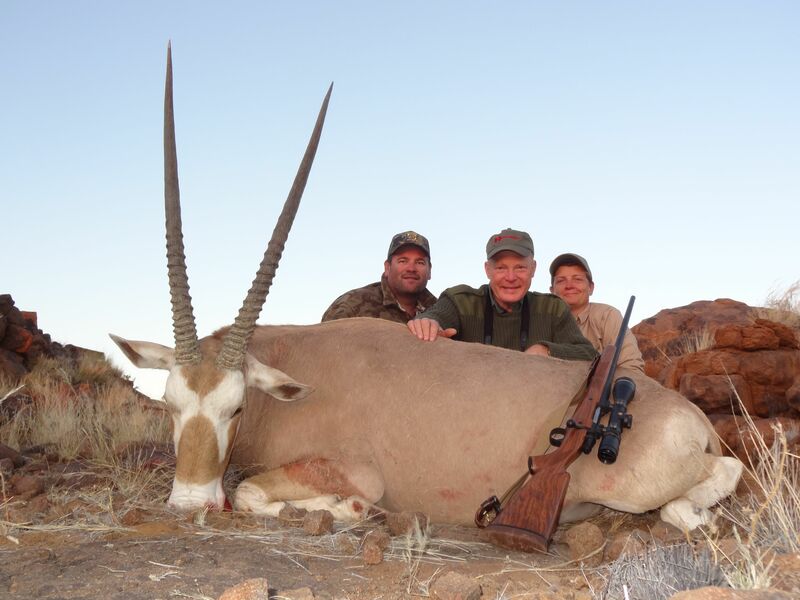 Today he and his family conduct Frontier Safaris on two huge contiguous properties, one in South Africa’s Eastern Cape, the other in southern Namibia…both managed exclusively for wildlife, and holding a wide variety of game in amazing numbers. His camps are comfortable and scenic, combining a “room with a view” and a great campfire boma, and his PHs and staff are first class!